When you are using ssh command, it provides you only one screen(terminal). If you lose that screen, you lose all you were doing on the remote computer. Sometimes it happens when a network glitch breaks the ssh connection and you lose what you were doing and you have to reconnect the remote server again. That can be very bad if you were in the middle of something important. And if you want to do three things at once, for example vi httpd.conf, tail -f /var/log/messages, and service httpd reload, you need to open three separate ssh sessions. The GNU screen utility is a terminal multiplexer. 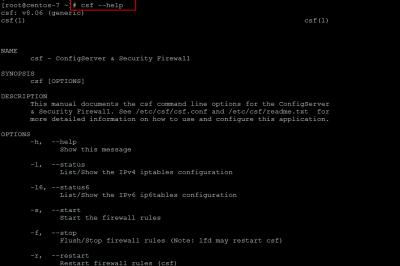 If you are a system administrator working on remote servers, screen is a great tool for managing a remote computer with only a command line interface available. It lets you disconnect from it, and then reconnect to that same screen session later. You might see a welcome message if it's there, and then see a regular bash prompt in the window. To control screen, press the Ctrl+a key combo, followed by another keystroke. For example, Ctrl+a followed by ? (noted as Ctrl+a, ?) displays the help screen. Here are some commands and control keys you can use to operate screen. The screen session shown above resulted in two windows (each running a bash shell) being created. You can create as many as you like and name them as you choose. Also, instead of detaching from the screen session, you could have just closed it by exiting the shell in each open window (type exit or Ctrl+d).